As always it is matter of perspective. In this instance an animal that scares most humans can be a kitten and a mans best friend. Lynn Rogers has shown the last 40 years that the Black Bear is nowhere as dangerous as most people believe. 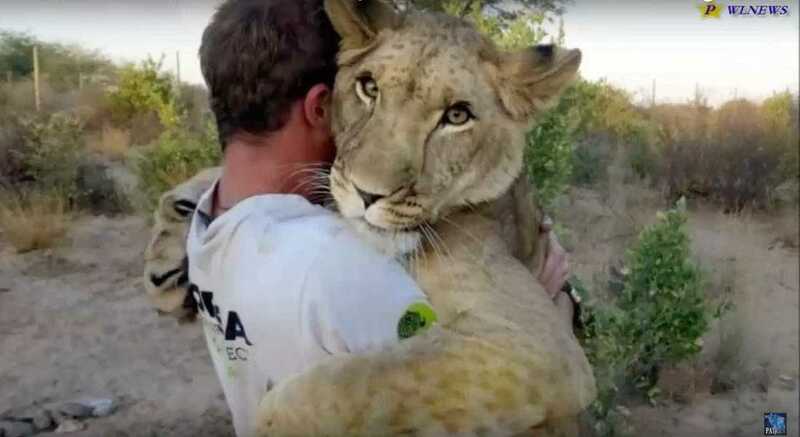 Now Valentin Gruener shows that even Lions can be humans best friend if treated correctly. The basic message from both is: Treat animals with respect and do nit threaten them and they will do the same to you. Be aware but not afraid from predators. Under such circumstances the risk of being attacked is hundred times less than being attacked by a bee or dogs or cow.